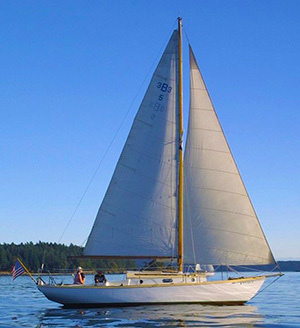 Enjoy life afloat, aboard the classic 1948 wooden sloop “Aura”, as we sail through the scenic heart of the San Juan Islands. From Deer Harbor on Orcas Island. 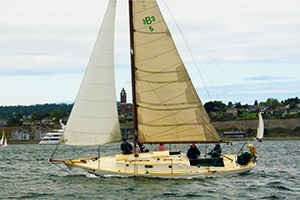 The Blanchard 33, from the Blanchard Boat Co., from designs by William Garden is a new stock one-design auxiliary cruising sloop, the first few of which have proved to be smart and able cruising boats. Requirements were quarters for four, with six feet of headroom, enclosed toilet, coal range in the galley, and a boat that could be built economically in quantity. 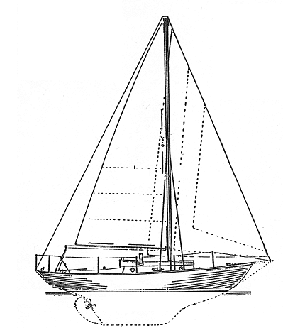 Stem and ribs are oak; keel and deadwood, fir; planking, red cedar; decks, plywood; trim, Honduras mahogany; and fastenings, Everdur. She has a 4150-lb iron keel. Orcas Island and San Juan Islands Sailing with Skipper Ward Fay. 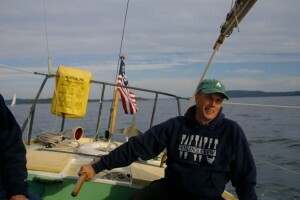 The Skipper lives in the San Juan Islands during the summer. Enjoy sunset and day sailing from Deer Harbor, located on Orcas Island in the San Juan Islands. Contact Skipper Ward Fay via email.